Our mission is to Empower Hackers. 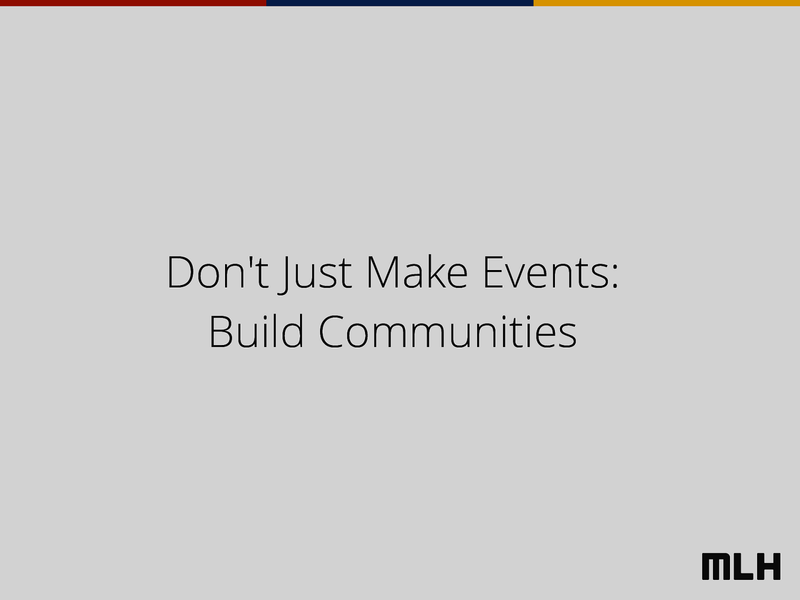 View Don't Just Make Events - Build Communities on Notist. Speaking to students about how to build communities. Shy puts presentations on for free. You can too.